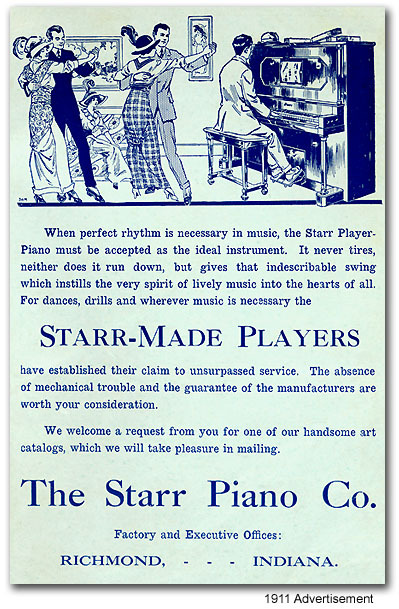 The Starr Piano Company began as the Trayser Piano Co. in 1872. One if its founders was James Starr. 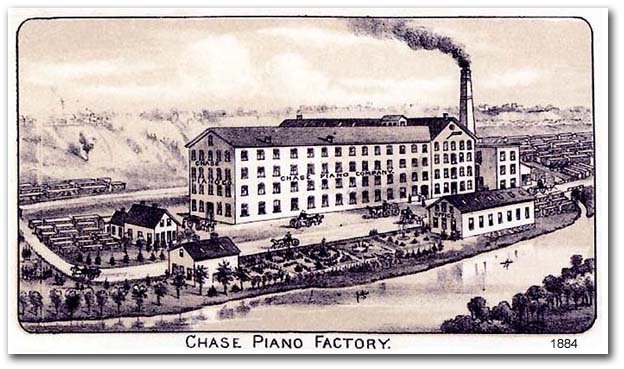 In 1878, the company was reorganized as the Chase Piano Company, and Benjamin Starr joined his brother James in the business. In 1884 they bought 23 acres in the Whitewater Valley gorge and constructed a six-story factory powered by the river. 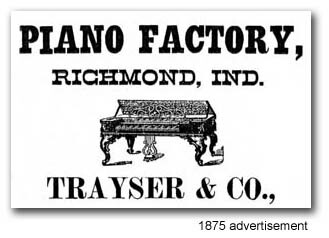 In 1893 it became the Starr Piano Company, and it soon became a sprawling complex of buildings and lumber yards and one of the biggest employers in Richmond. By the 1920s, it was manufactuing not only pianos and player pianos, but phonographs. 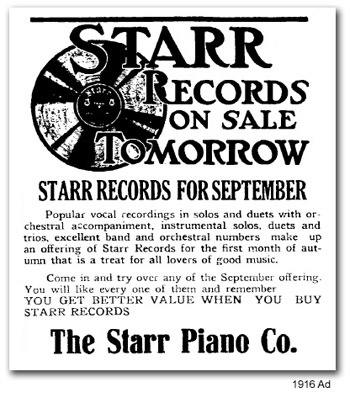 To go with the phonographs it began producing records, first under the Starr name, then under a separate division. 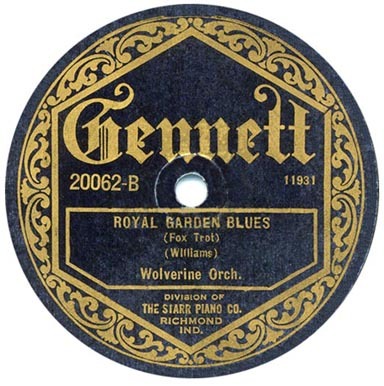 The Gennett Records Division of Starr Piano recorded artists of early jazz, blues, and country. Because these were new music forms in the 1920s the large record companies did not record them at all, so the records produced during this time constitute the earliest recorded examples of these forms. Artists such as Louis Armstrong, Jelly Roll Morton, Hoagy Carmichael, and Bix Beiderbecke performed in the studio in the Whitewater Gorge. 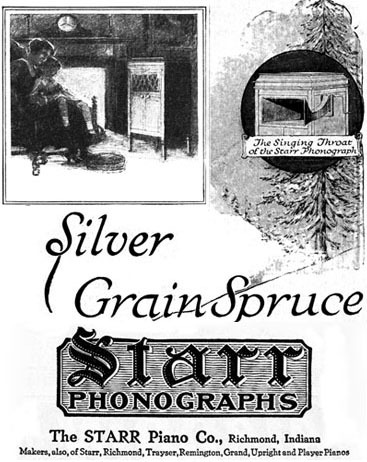 Declining record sales and the Depression ended Gennett Records, and the Starr name continued for a few more years making radio cabinets and refrigerators. The complex fell into disrepair and in the 1970s demolition reduced it to a few structures – the smokestack and the shell of the building that still bears the shadow of the Gennett Records logo. In the early 2000s, Richmond’s Parks Department took over the area and created the Whitewater Valley Gorge Park. The single remaining building was stabilized and transformed into a multi-use pavilion that hosts special events in warmer months. This Starr-Gennett Pavilion also hosts the Richmond Shakespeare Festival each summer.